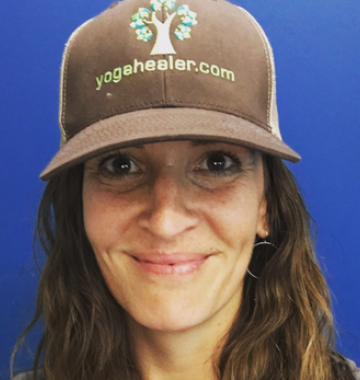 Cate founded Yogahealer.com in 2001, Yoga Health Coaching in 2012 and author of the amazon's best selling Ayurveda books: Body Thrive. For the past decade, Cate Stillman has led a group through the nine month journey to living Ayurveda in daily life. Her members get better results faster every year. She is an innovator of dynamic online communities aiming for exponential evolution. If you don't know what that is - you'll find out if you qualify for the journey. For the past 9 years, Cate Stillman has led a group through a nine-month journey to living Ayurveda in daily life. Thrive with the practical, modern wisdom of Living Ayurveda. "Learning the principles of Ayurveda changed my perspective on health and disease 180 degrees! As an OB/Gyn, I go to the kitchen now instead of the medicine cabinet to treat myself, my family and friends, and even my patients." When Dr. Beth started Living Ayurveda she was already a gynecologist, a mindfulness teacher and a Yoga Health Coach, not to mention a single mom with 2 daughters at home. 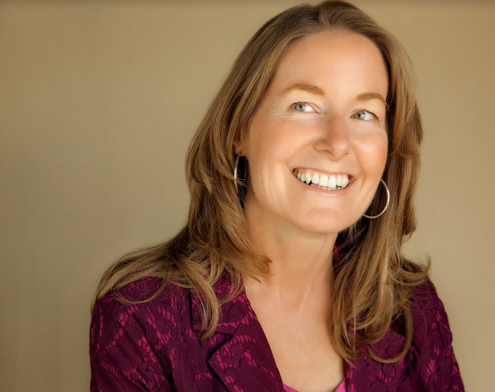 Dr. Beth wanted a deeper understanding of Ayurvedic pathogenesis in a way that would serve herself, her daughters and her patients. Being in LAC fundamentally evolved her personal self care, her daughters wellness wisdom, and is deeply evolving her career as a gynecologist. When Lynn began the Living Ayurveda Course she was truly suffering. 10 years of chronic fatigue and a 2 year struggle of fibromyalgia plagued her. Two years later Lynn is disease free. She has reliable strong energy levels. She has automated the habits to thrive as she ages. Lynn then stepped into the Pro Healer path with Ayurveda as a Yoga Health Coach. Now she serves our community as a YHC Mentor to new member coaches. When Rachel started Living Ayurveda she was working in a job she no longer liked. She wanted to start her family. She loved yoga and knew she needed to learn Ayurveda. Now Rachel has an almost 2 year old she conceived and is raising with the basic wisdom of Ayurveda. She has never felt more balanced in body, mind and spirit. She inspires the mothers in her community. Aligning your biorhythms, sync with Nature. LAC awakened within me the practice of dinacharya, daily rhythms of self care in sync with nature. Ayurveda is so deep, rich and yet natural and elegant. I've shared a lot of these teachings with my yoga students. Jana came to Living Ayurveda as her health was costing her her joy. With two kids in primary she wanted energy. But her chronic immune issues plagued her ability to parent the way she wanted to. One year later her health issues have abated more than 80%. She found a community that embraces her and fuels her personal evolution. She has energy to be the kind of mom she wants to be. Dawn (cool shades) is helping her daughters and grandson optimize their habits. When she joined Living Ayurveda she felt chaotic, ungrounded and fundamentally insecure. Through Living Ayurveda she stepped into her personal power, which is now spreading through her family. Stair Calhoun (cute dimple) is also passing on the evolution of her family wellness wisdom through her own experience onto her kids and grandkids. Each year I take 100 new members into Living Ayurveda. In order to learn Ayurveda - to empower your constitution, to optimize your metabolism, to uplevel your learning space, you need to first clean your inner temple. So, if I can get you to do that before we begin Living AYurveda next September - all the better for both of us. That way - you can learn much faster, much deeper. You'll have already cleared away the funk, removed any junk from your trunk, and be ready to rock. Now is the time to apply. Its the best deal and the most supportive experience. Are you ready to play your a-game? We are. Apply below. After you apply, you'll schedule your interview conversation. Which is a treat and a blast and something to look forward to. If you apply and you're not ready to join us - we'll send you more free resources to keep your interest in Ayurveda + your evolution stoked. Space is limited. This course sells out. So don't miss out sing up today! "I'm more conscious of what foods are good for me". "I'm taking better care of my body". "I better understand what helps my body thrive". "I feel younger and lighter". "Ayurveda makes more sense to me now". "I'm becoming a wellness resource for my yoga students". "I'm taking better care of my family". I've become a wellness resource for my friends & developing a growing awareness of the connections between macrocosm & microcosm. I'm seeing the spiritual dimension of ayurveda. "Living Ayurveda changed how I lived." For me personally, LAC changed how I live. It helped me answer the question "how is it so" in my own healing process so I could make the necessary changes in my daily living to create more balance where there was imbalance. This course will change the trajectory of your life. It is still an everyday process but you learn to live in health and move beyond thought patterns and habits that we have so grown to believe. You will become a new person. "My family's life revolves around good health and lifestyle choices." so gratifying to be raising a gorgeous, healthy, and AWARE teen. The best gift I could give her was to model great self care .